Where does honey come from? The Cat in the Hat knows that! It comes from bees, and what better way to learn about honey making than to visit inside a hive and see firsthand how it's done? 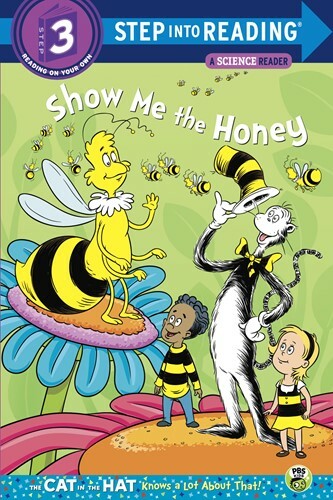 In this rhymed easy reader based on an episode from the hit PBS Kids TV show The Cat in the Hat Knows a Lot About That!, the Cat, Sally, Nick, and Things One and Two shrink to bee size and learn how bees communicate via dance, collect nectar and spit it into combs, turn it into honey, and seal the combs with wax. This is a sweet, funny Step into Reading book that kids will gobble up-without realizing they are ingesting an important natural-history lesson!